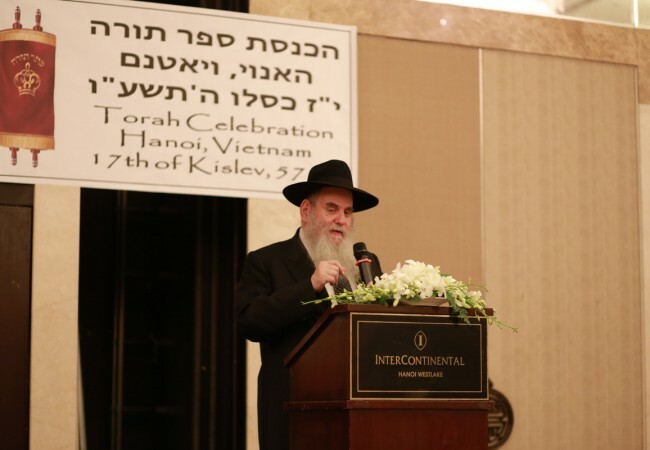 Last month, Chabad of Hanoi, Vietnam made history as they welcomed their very own, brand new Torah Scroll. 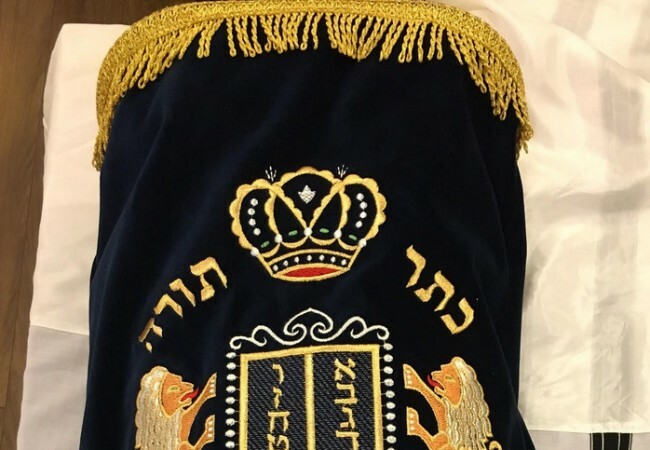 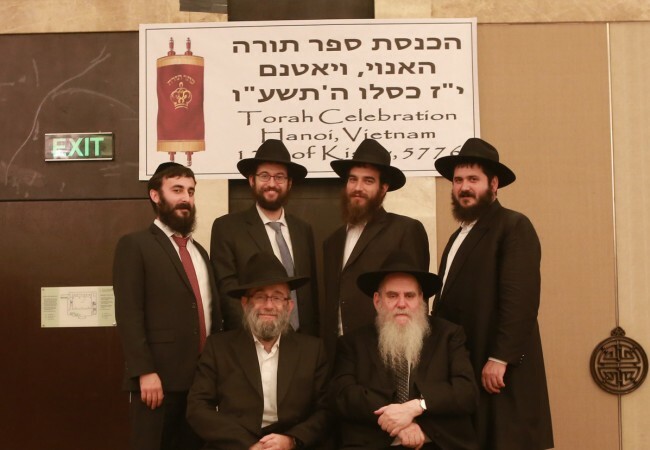 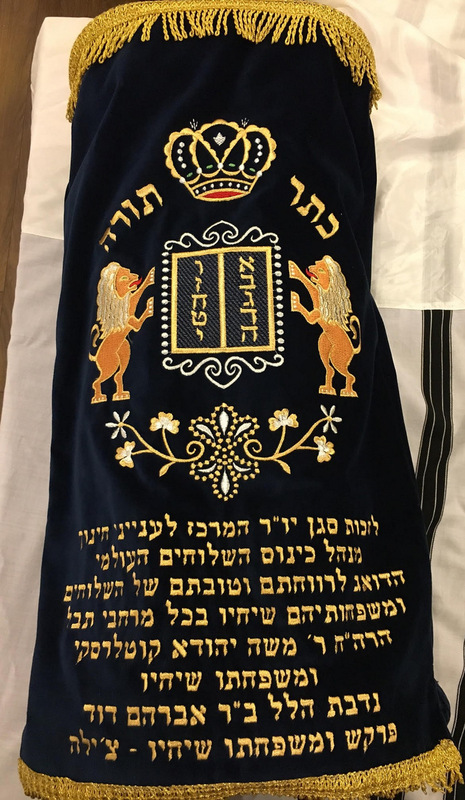 The Torah is one of seven newly written Sefer Torahs donated generously by Chilean businessman and philanthropist, Leonardo Farkas, honoring Rabbi Moshe Kotlarsky and his family. 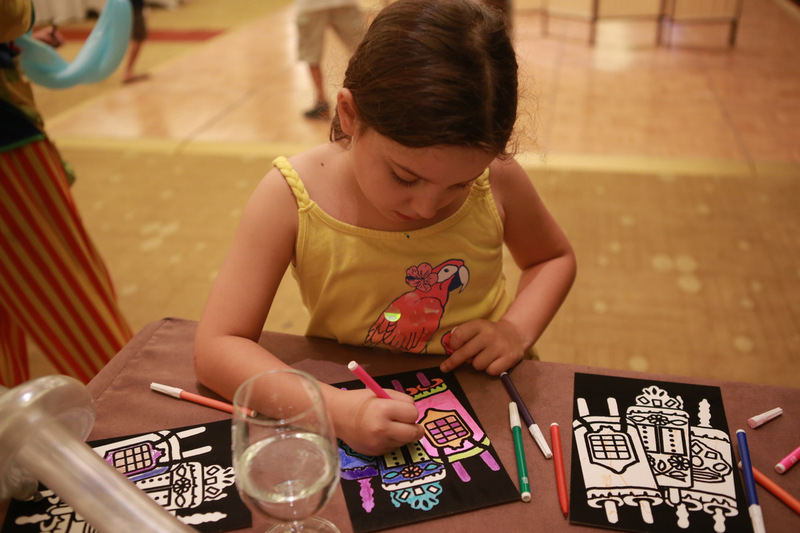 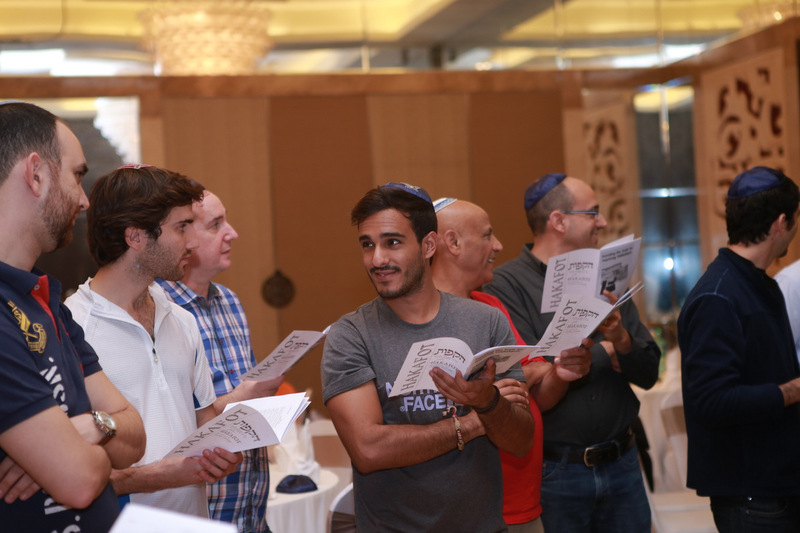 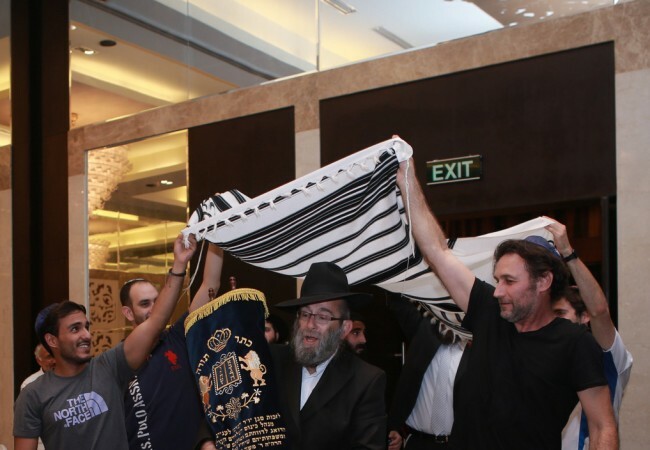 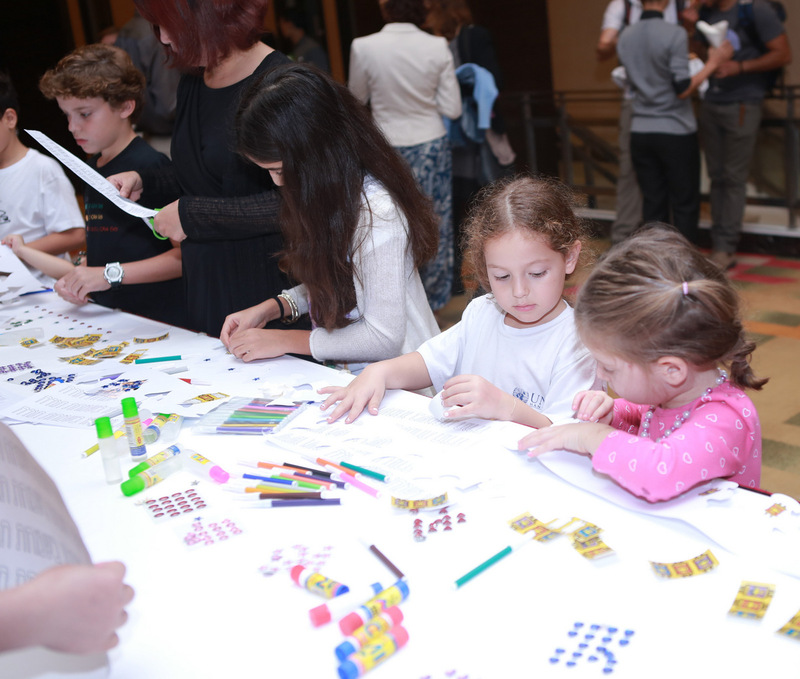 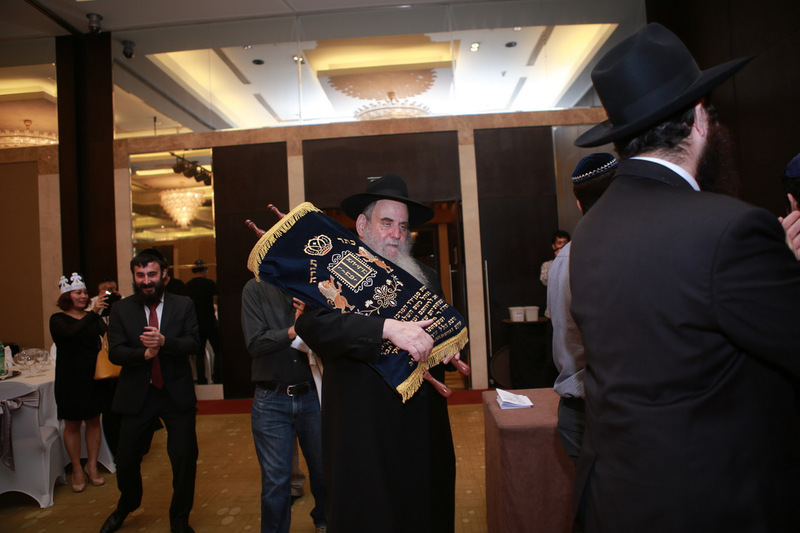 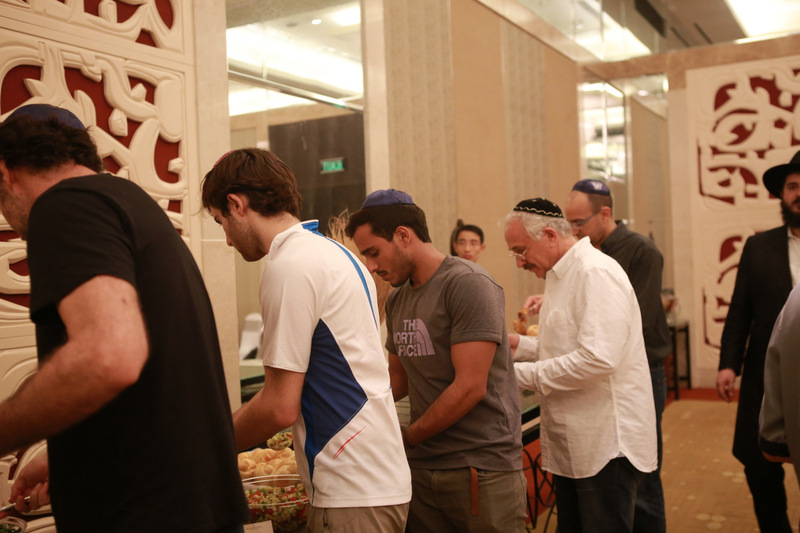 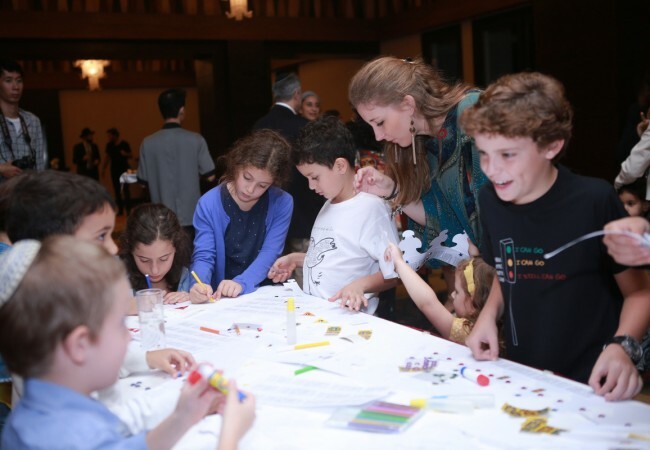 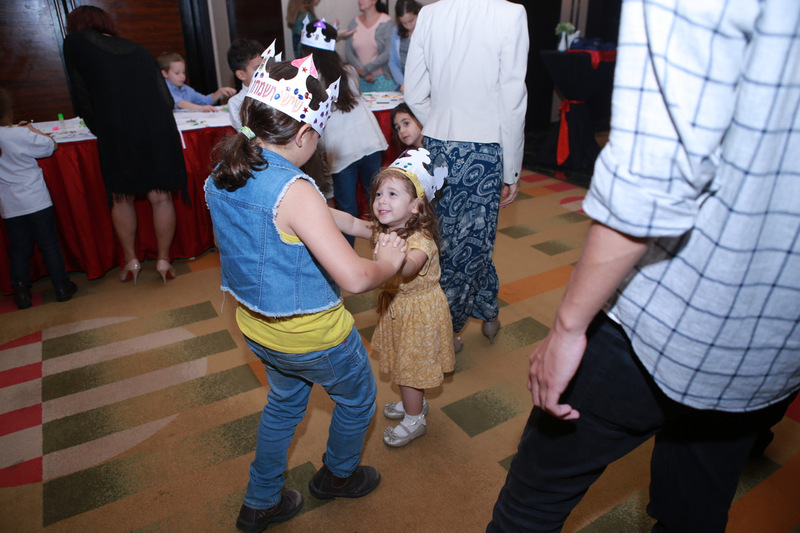 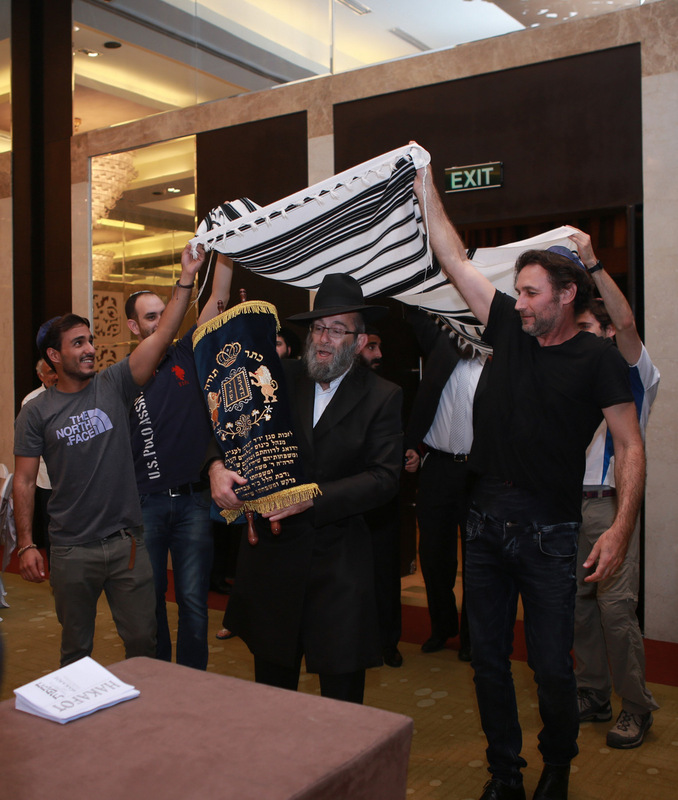 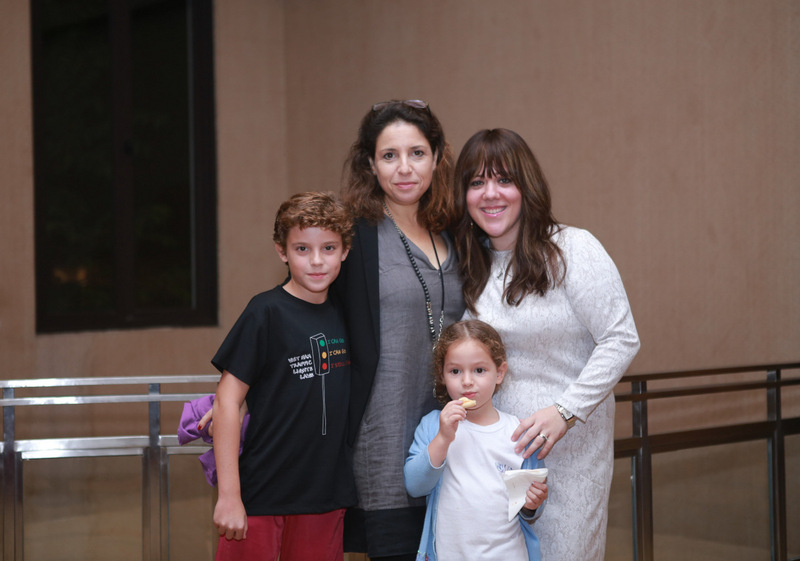 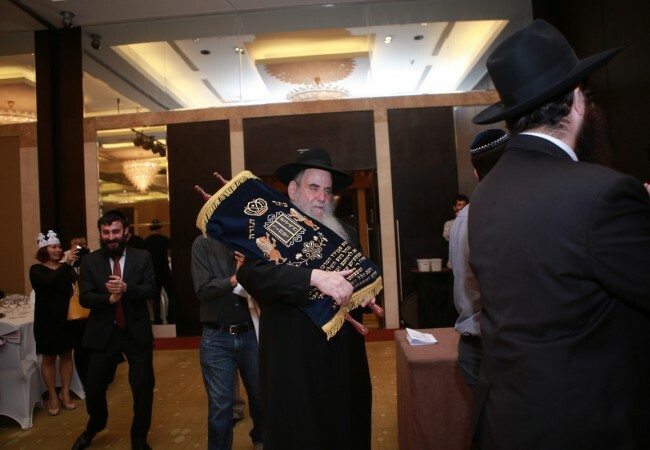 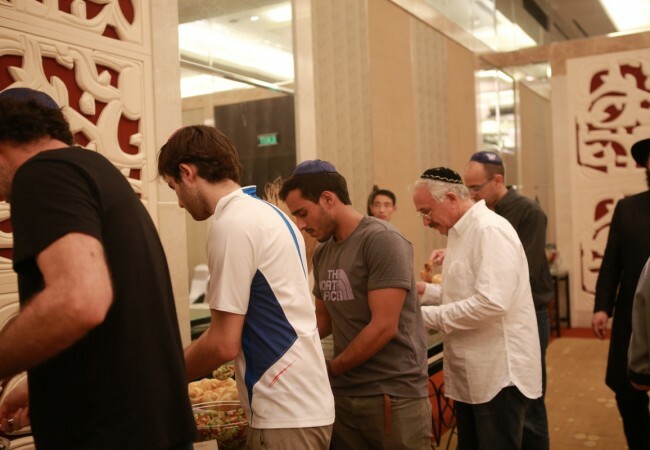 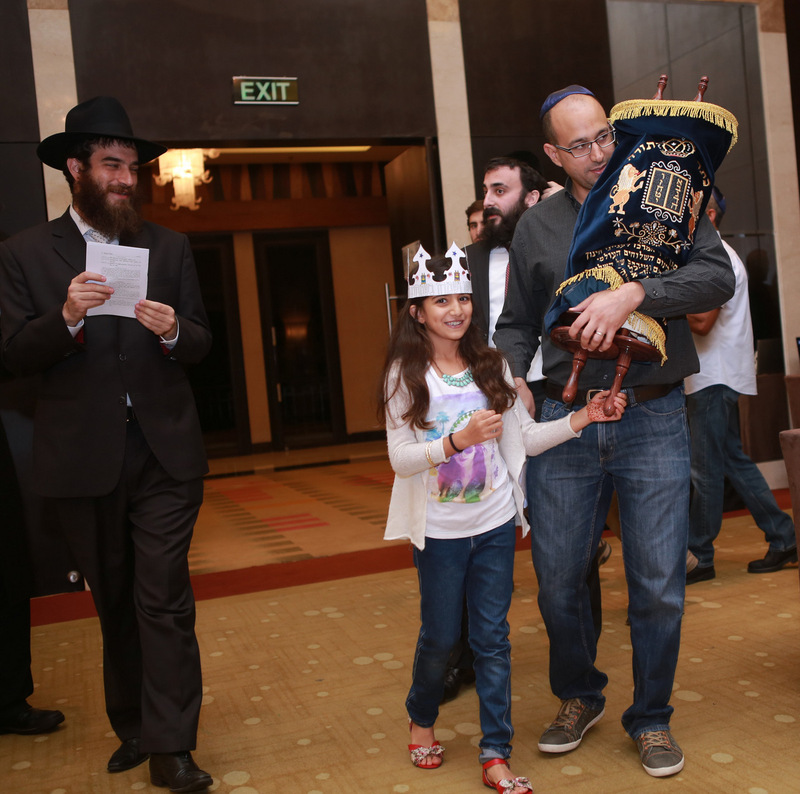 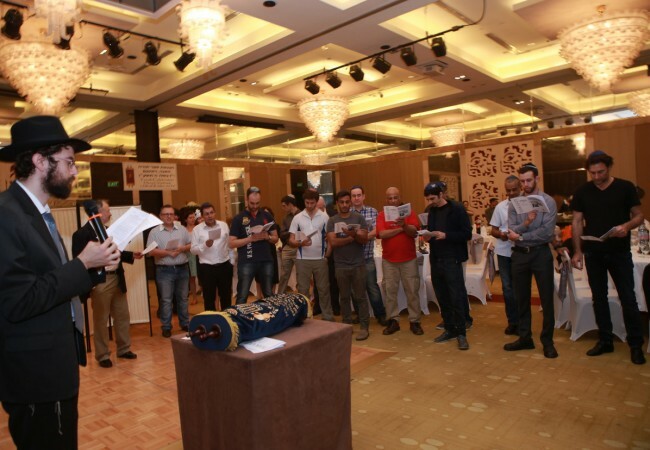 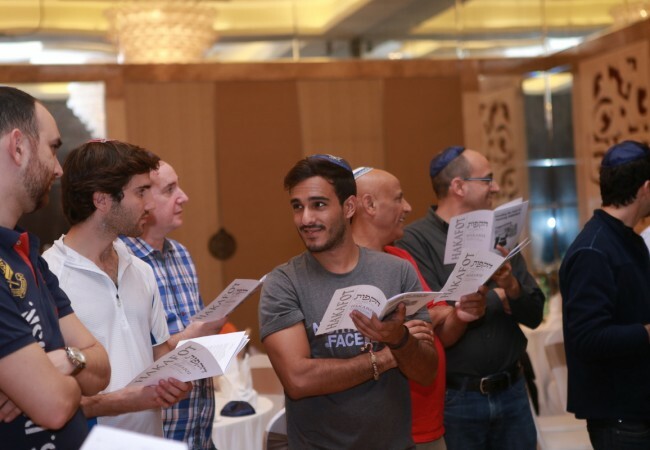 Many adults and children from the local Jewish community gathered together at the Intercontinental Westlake Hotel to welcome the Torah scroll amidst singing, dancing and of course, lots of l’chayims! 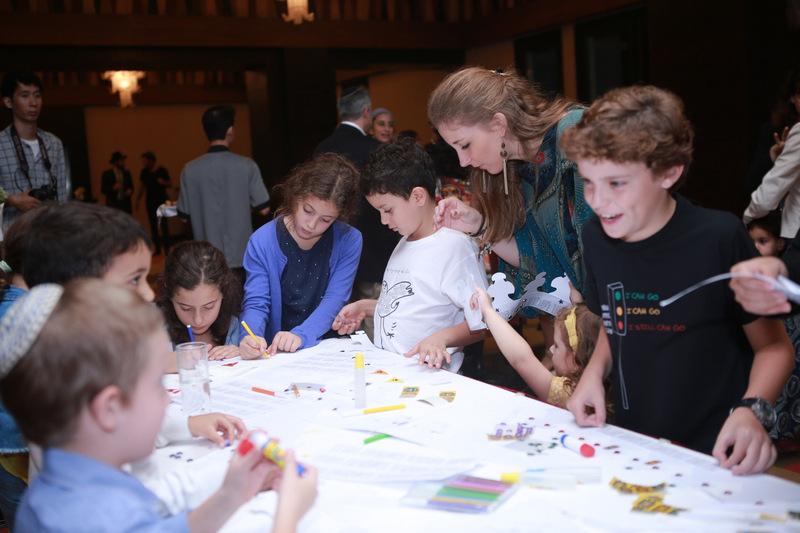 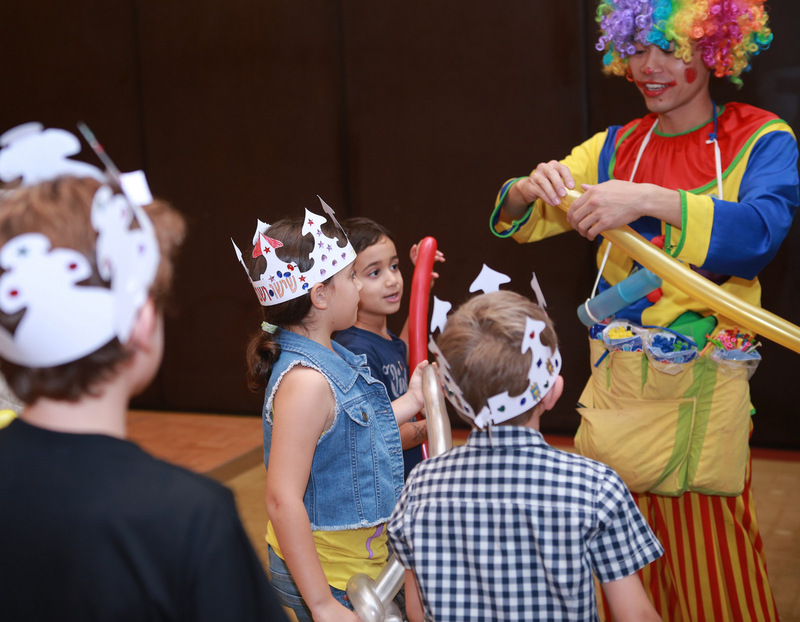 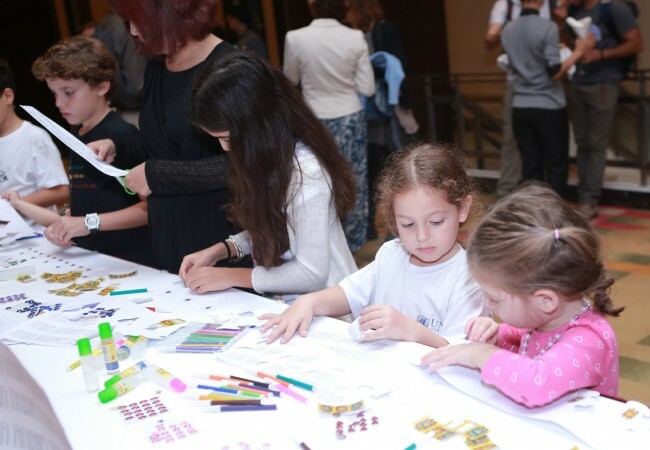 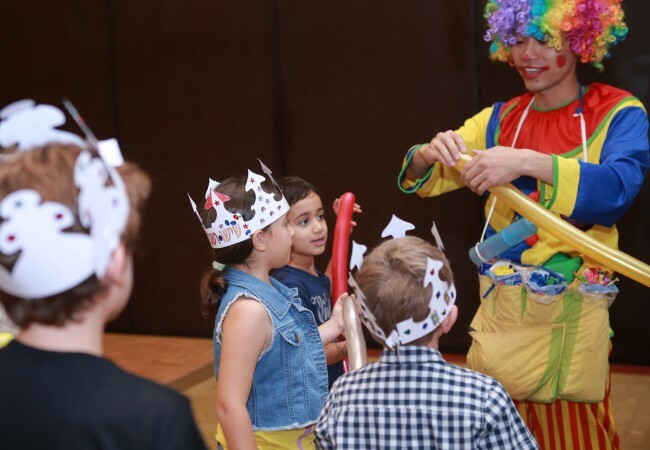 Young and old alike, joined in the festivities which included the traditional hakafot, a lavish buffet dinner and a fabulous childrens’ program and activities. 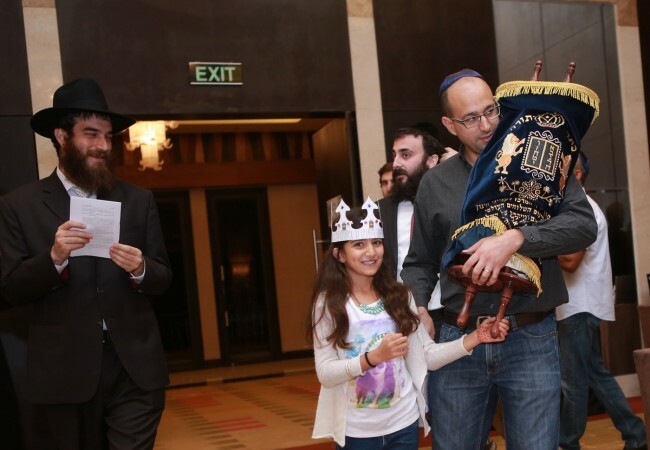 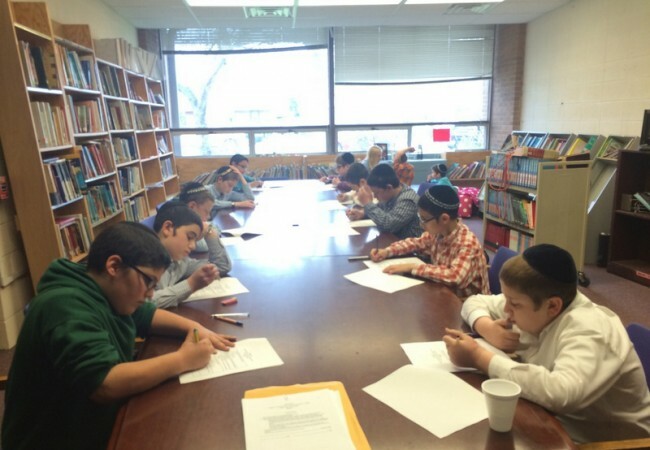 None of the 25 Jewish children that participated in the momentous occasion had ever experienced a Hachnasas Sefer Torah before and the excitement was palpable! 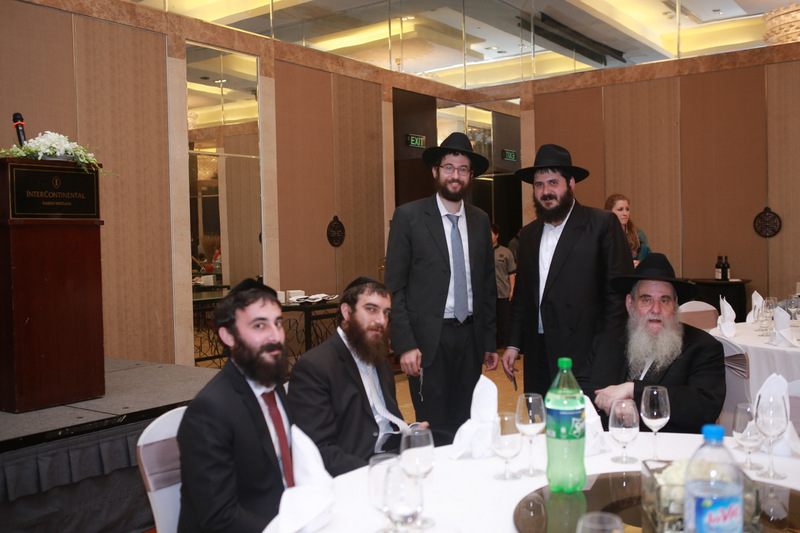 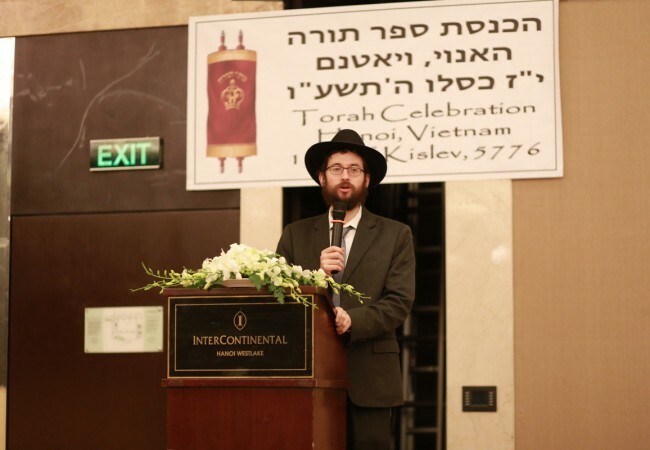 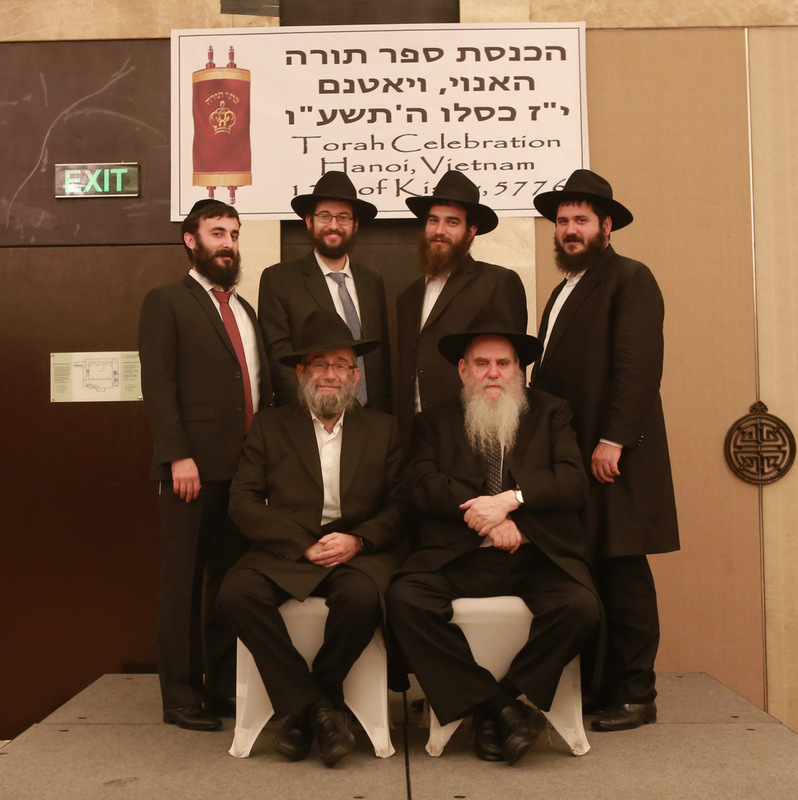 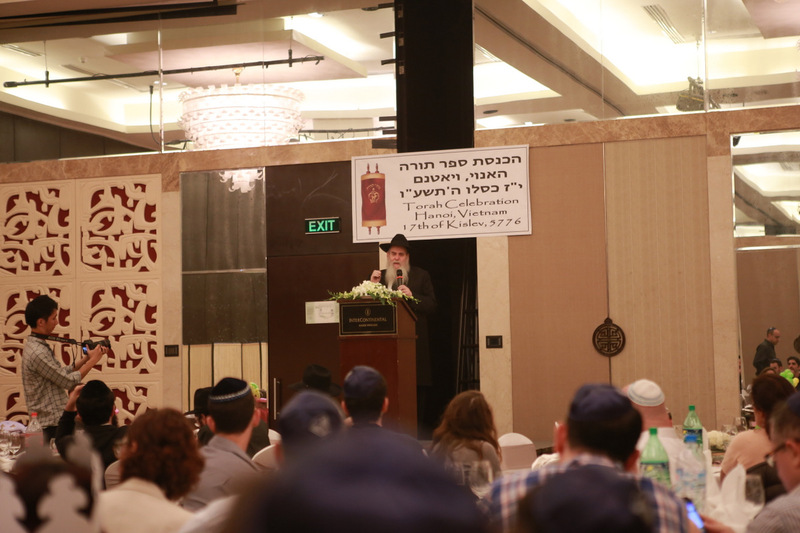 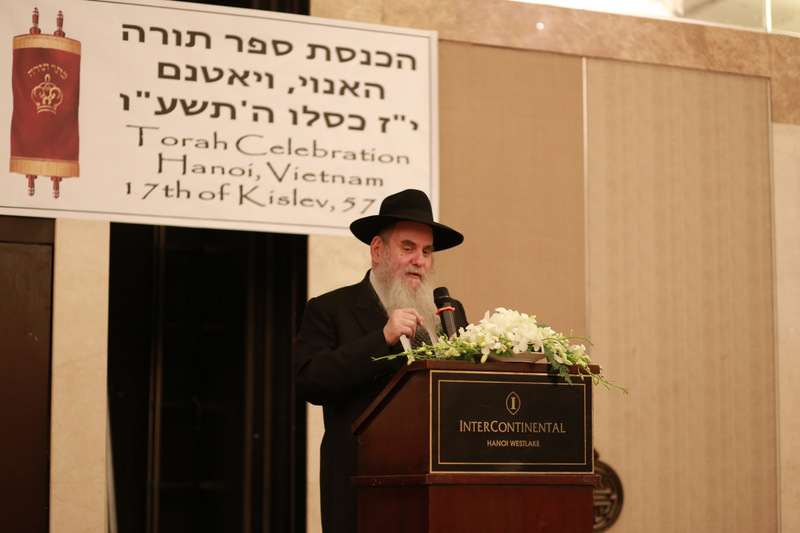 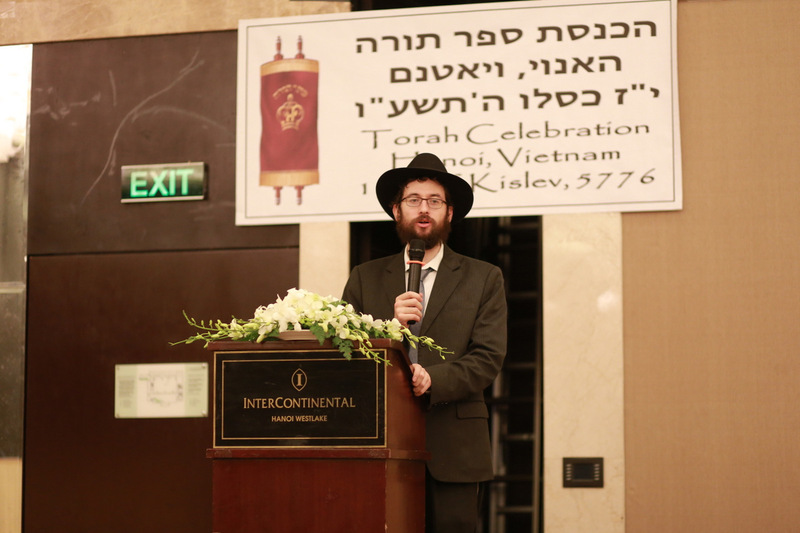 The event was thoroughly enjoyed by all who attended including the Head Shliach of Vietnam, Rabbi Menachem Hartman.